Wrongful death is a type of claim that arises out of the death of person from negligent or other illegal conduct. The death may be caused by any number of acts, such as a motor vehicle collision, medical malpractice, products liability, inadequate security, among many others. 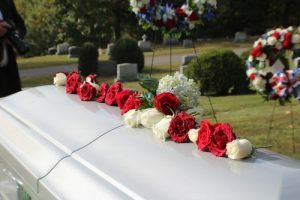 So, a wrongful death claim does not tell you the type of facts that will be the basis for the claim, only that someone has died from allegedly wrongful conduct by someone else. In a factual circumstance where someone has died, there are normally two potential lawsuits that can be brought. Each one is for different types of damages and must be filed by difference categories or types of claimants. The first, and most obvious claim, is the claim brought by a surviving family member, such as a spouse or children (although there can be others, if there is no surviving spouse or children). The claim is to recover for the full value of the life of the deceased as shown by the evidence, which frequently involves presenting the life story of the departed along with that person’s probable future contributions to self, family, friends and society along with any other economic and non-economic value of the individual as a treasured person. The division of a settlement or court award in this matter is controlled by the statutes of Georgia. A second claim, sometimes called an “Estate Claim” or the “Survivorship Claim”, is brought to recover for the last illness medical expenses, if any, incurred before the person died; the pain and suffering of the injured person before he or she lost their life; the costs of the funeral and burial; and in cases were the facts support it, a claim for punitive damages. This claim is brought by the legal representative of the deceased’s estate and is said to be the type of claim the deceased would have brought if he or she has not died. That is why it is called a “survivorship action”, i.e. because this type of damage claims did not die with the person, but survived to be brought the deceased’s legal court representative, such as the Executor or Administrator of the Estate. It is important to remember this secondary claim when considering a wrongful death action, as it can be very valuable if death was not instantaneous (leaving large medical expense and protracted pain and suffering) or if the cause of the death was from some grossly outrageous conduct by the wrongdoer that would authorize consideration of a punitive damage claim. The wrongful death attorneys at A. Russell Blank, LLC are experts in the professional handling of personal injury cases, including wrongful death suits in Snellville, Georgia. The period following a person’s passing is a painful, exhausting time. In the midst of this chaos, bringing a suit, no matter how justified it is, can seem daunting. Consulting with an attorney comes at no cost to you. It is in your best interests to figure out if you have a case and preserve it, in honor of your loved one’s memory. If you have lost a loved one and wish to know whether you have a right to make a claim for that tragic loss, please contact us.